Help… the beauty industry is out of control! The last time my teeth were a color besides any normal variation of off-white was when I decided to go to Cone Gourmet Ice Cream (which I totally recommend, check out their site and definitely go in person) and had their Cookie Monster ice cream. It was so worth the blue teeth, blue lips, and in general, the messy dye-debacle… but I don’t think I would ever voluntarily want my teeth to look any other color than white. Perhaps the vanity of our generation has been responsible for plastering perfect white teeth all over media. 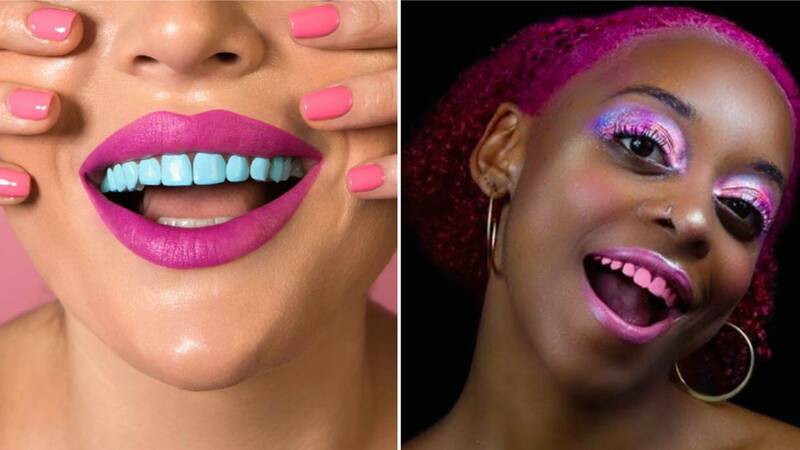 There are beauty pens that bleach your teeth white, the outlandish claims for fool-proof whitening tooth paste and mouthwash, and even those pricey mouthpieces that influencers flood your feed with. In a way, any other tooth color besides white has been stigmatized. At the same time, who really cares? Even so, I was still so shook but I saw Chrom’s Toothpolish release. I know. You’re probably thinking, what even is Toothpolish? The answer to that question is it’s essentially nail polish… but for your teeth. LET US INTRODUCE YOU TO 32 LITTLE BLANK CANVASES. With 10 current shades out, Chrom wants you to “SMILE WILD.” I’m glad that the claims say that the polish won’t smudge and has no taste, but I have never been more unsure about a product. I already have enough issues with chipped nail polish. How ridiculous can I look with chipped tooth polish? It’s also a little scary that it can last for 24 hours. I guess I can appreciate the concept and theory behind the product. Makeup should be used to express yourself and explore all types of art and standing out. But when does it go too far? Is there even a too far? My concern, for one, is the safety of the product. It’s so new, and I am certainly not brave enough to try it out or pull off a look that resembles 2008 Fundip teeth. While I know I for sure will not be trying this product, I’m curious to hear your takes!